Please choose size and leather color for your lead. 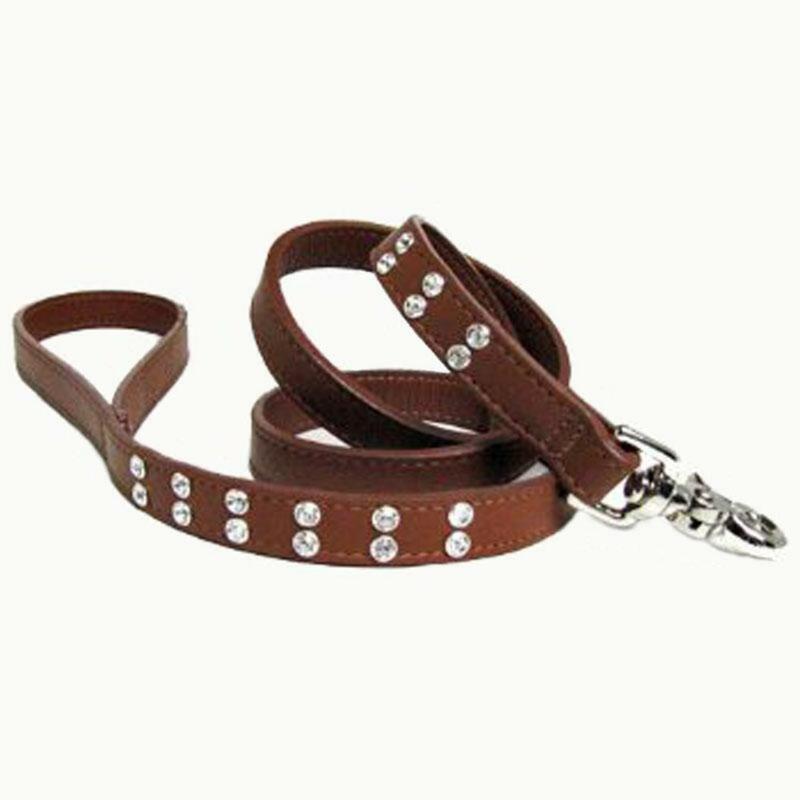 Matching designer Lucky Double Bling dog collar available. 4 ft x 5/8", 4 ft x 3/4", 4 ft x 1"
5 ft x 5/8", 5 ft x 3/4", 5 ft x 1"
6 ft x 5/8', 6 ft x 3/4", 6 ft x 1"